a. 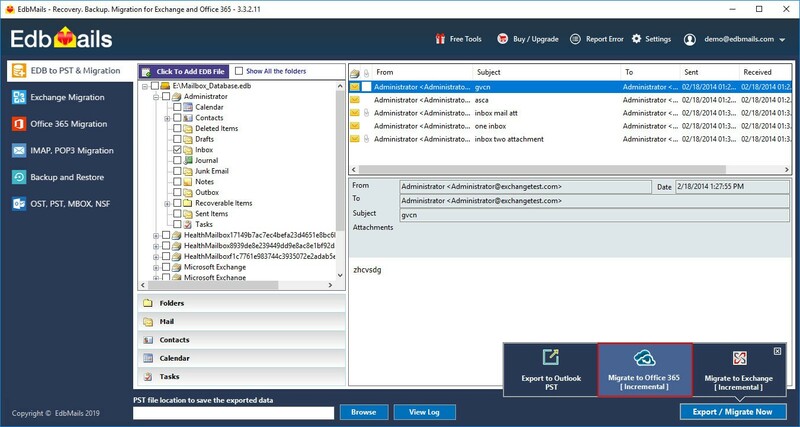 Right click the Tree view and select the Mailbox / folder that you wish to export to a PST file. 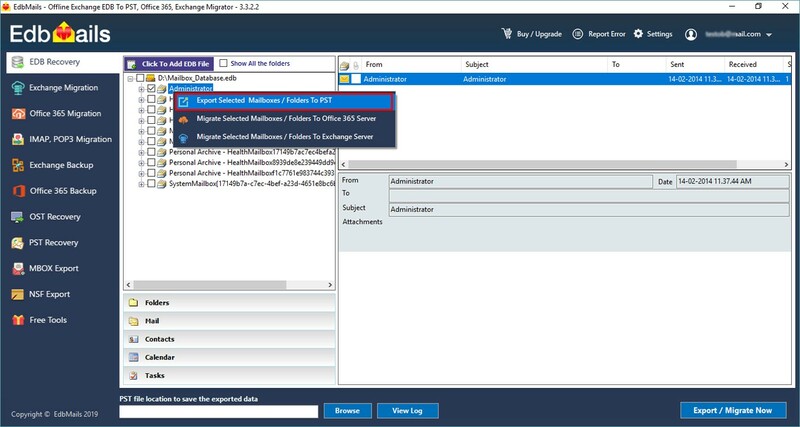 Choose the "Export Selected Mailboxes / Folders to PST / Office 365 / Live Exchange" popup menu item to continue with the export operation. b. 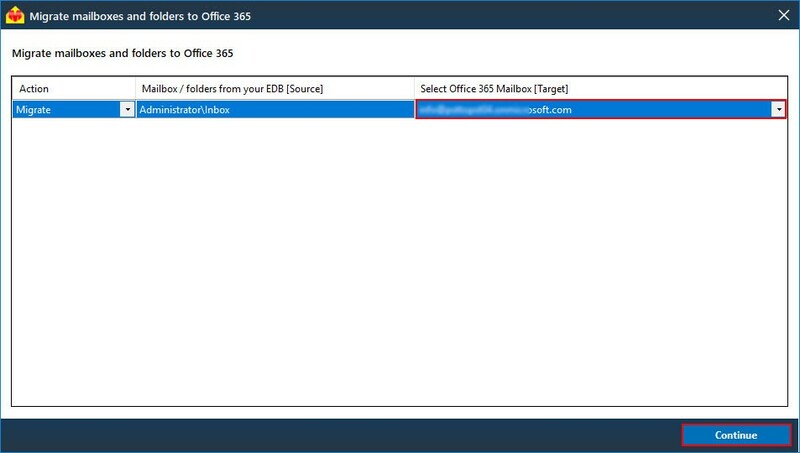 Select "Export Selected Mailboxes / Folders to Office 365" and click continue. 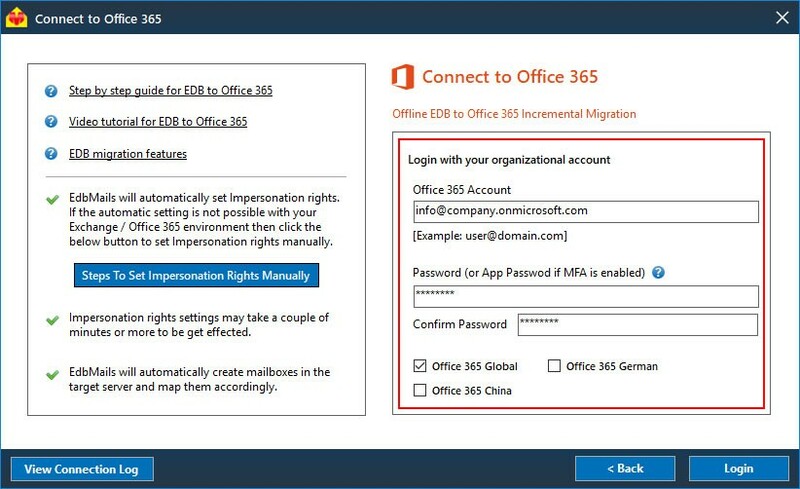 c. Enter the Office 365 account admin credentials to connect to office 365.
d. After the successful login, Map the mailboxes to Office 365 mailboxes and click on "Export EDB to Office 365" to export. 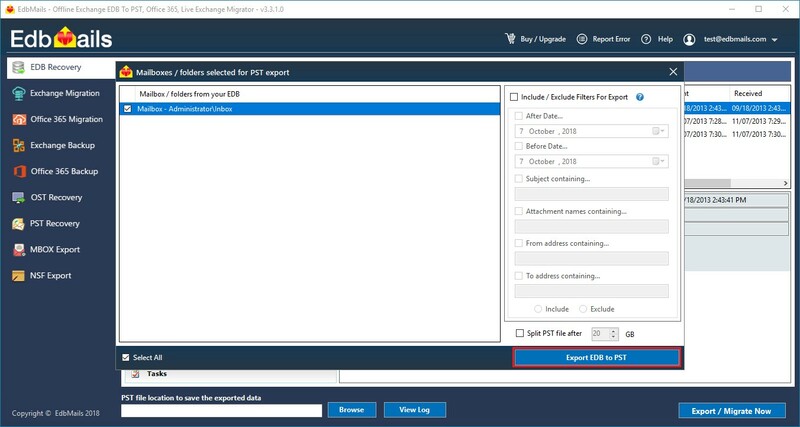 f. Once the Export operation is completed, the message "Export operation has been completed." will be prompted.